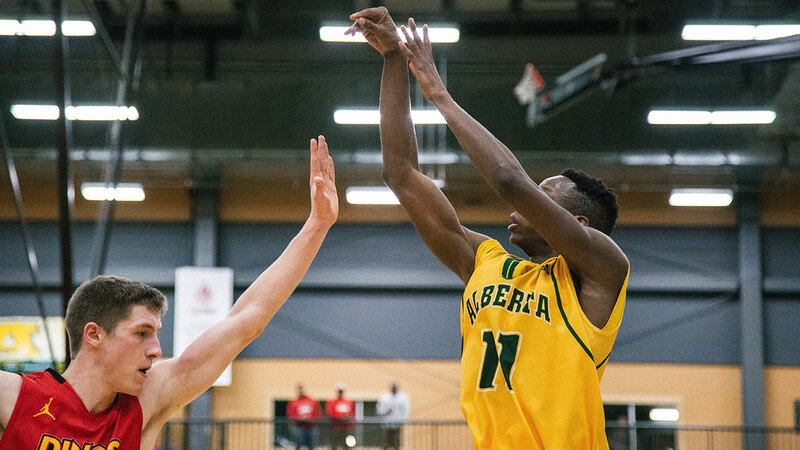 The Mamadou Gueye show: If the Bears are to make a deep run in Canada West playoffs this year, it’ll most likely be Gueye carrying them through. The third-year forward has been the focal point of the Bears offence all season, and has not disappointed, leading the team in points per game and rebounds per game. Gueye has been the lone bright spot on a Bears offence that has struggled to put up points this season, being one of the three teams in Canada West that average under 70 points per contest. Gueye has been very consistent this season, putting up double figures in 16 of 20 regular season games, and he’ll be the first player the Griffins will be looking to contain in order to have success in the series. The Griffins’ lack of offensive impact: Unlike the Bears, the Griffins don’t have an offensive standout like Gueye. Their leading scorer, Denzel James, is averaging a modest 14 points per game. James and fellow backcourt mate Thadieus Galvez will be called upon to shoulder the offensive load for the Griffins, who’s offence was a bit better than the Bears’ on paper this season, ranking 10th in Canada West in terms of points scored. 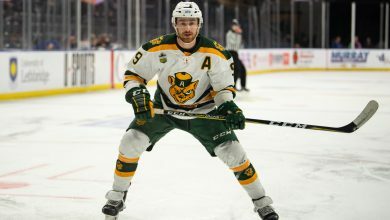 That offence will have to rely on a scoring by committee approach in order to be successful, with forward Ryan Coleman being a nice weapon off the bench for the Griffins, averaging nearly nine points per game in 14 games during the regular season. The Bears’ scoring depth (or lack thereof): Even though the Griffins may not have a huge offensive presence like Gueye, they do boast better scoring consistency than the Bears, with each of their regular starting five averaging over eight points per game. The green and gold on the other hand, rely heavily on Gueye and forward Brody Clarke for the majority of the offensive production. 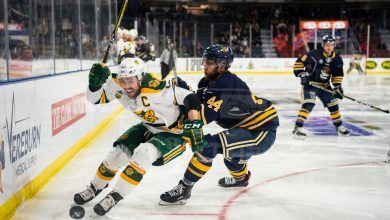 The Bears’ offence is fairly limited beyond those two players, and if the Griffins can use their consistent offensive production from their starters then they may be able to swing the series in their favour.